The Norwegian Bliss Cruise, which includes a race track and a slide that catapults off the side of the ship, is just one of the many cruise lines to take to Alaska directly out of the Pacific Northwest. SEATTLE — Cruises are the perfect vacation for those looking to travel without being too far from the comfort and privacy of your own room. AAA's Lisa Anciaux has an overview of the cruise lines that offer service from Seattle. There are several cruises to choose from that go to countries around the world, and many lines leave from areas around the Pacific Northwest. First, let's think about cruises to Alaska. There are five different cruise lines that go from Seattle to Alaska with ships ranging from a 600 to a 4,100 person capacity. Norwegian Bliss Cruise Line has a race track and slide that catapults off the side of the ship. The Norwegian Bliss Cruise Line is brand new to Seattle this year and holds around 3,900 passengers. This ship includes a race track and a slide that catapults right off the side of the ship and plenty of restaurants on board. "It's great for families and those that want to be very active," says Lisa. In 2019, the Bliss will be joined alongside her sister ship, the Joy. 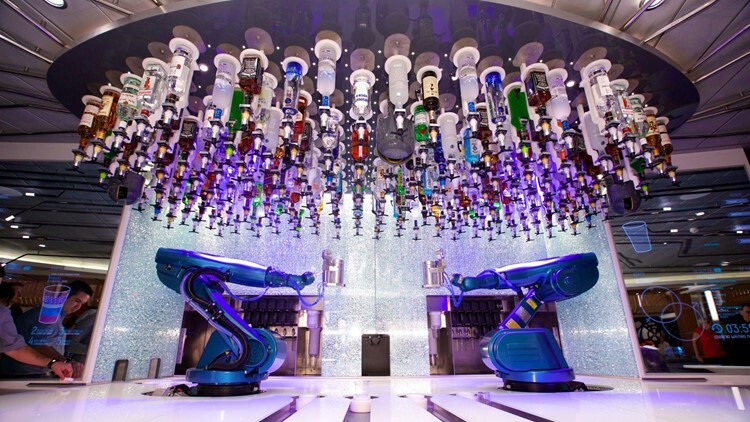 On board the Royal Caribbean's ship, "Ovation of the Sea" is the "Bionic Bar" in which the bartenders are robotic arms that will engineer the perfect cocktail. 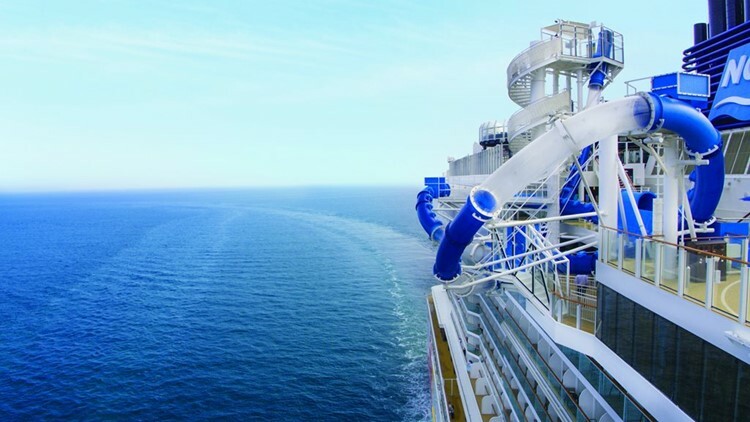 The next ship headed towards Alaska is the Royal Caribbean Ovation of the Seas. It's one of the larger, quantum class ships with a capacity of 4,100 passengers. It has incredible features like the "North Star", which is a glass bubble that takes passengers 300 feet above sea level and brings some of the most spectacular views people will ever see. In addition, there are many restaurants, theaters and other points of entertainment on board. From Princess Cruises are sister ships the Ruby Princess and the Emerald Princess which hold about 3,000 passengers. They both have a piazza that is like a family room where performances and events happen throughout the day and evening. They also bring on husky puppies for guests to enjoy, following the theme of an Alaskan cruise. From Holland America Line are three ships that travel to Alaska. The Eurodam and Oosterdam are seven-day cruises, while the Amsterdam is a 14-day cruise that goes all the way up to Anchorage. Holland America has partnered with America's Test Kitchen, so these cruises come with some great cooking classes for people of all levels. B.B. King's All Star Band is also aboard, which is perfect for those into live blues music. Oceana's Regata is the smallest ship of the bunch and holds about 680 passengers. Aboard is great service, great food and unique restaurants. "What I love about [the Regata] is she is small and everything seems like you're in the family room of someone's home." AAA is also doing a FREE cruise show event! This segment is brought to you by AAA. Watch New Day Northwest 11:00 weekdays on KING-TV Ch.5 or streaming live on KING5.com. Connect with New Day via Facebook, Twitter, Instagram.